8 Comments on Let Food Be Thy Medicine? During my recent trip to the United States and the difficult run of migraines I experienced whilst away on my travels, I decided a visit to a chiropractor was in order due to the fact my neck had completely seized up. After finding a local clinic online which looked suitable, I attended my appointment in which all I required was an adjustment to relieve my neck stiffness and reduce my headache. As I settled into my chair the Dr set straight to work by gathering my medical history and details of how my migraines were impacting my life. I gave him the usual spiel of the therapies I had tried and tested over the years, in which he intervened with “Can I ask you what your diet’s like”? I explained that I considered my diet to be very healthy and that I avoid the various food triggers that cause me migraines. He then went on to ask if I drank milk and dairy products, ate white bread, pasta, crisps, crackers, cereals and grains? And finally, if I ate any sugar? To all of the above (as any normal person would) I answered “yes, all of them”! With a convincing look upon his face and whilst scribbling notes on his clipboard, he concluded that my diet may be half of my problem. The doctor went on to explain that there are certain foods which cause inflammation and other foods that fight inflammation. The pro-inflammatory foods can create illness and disease in our bodies as most of the food we eat is not digestible or actually remotely healthy for our bodies at all. The list he then went on to read out was basically my diet down to a tee! Foods such as oats, cereals, various fruits, tortilla wraps, bread, milk and pasta. The list went on and on… What on earth was there left to eat I wondered? The Dr suggested I look into an ancestral diet and to read up on the matter in my spare time. So that’s exactly what I did..
Strewn across the sofa with my usual space age anti migraine head-gear firmly in place, I started to browse on my iPad which foods cause inflammation and reduce inflammation. I was surprised at the results! So here we go! The best foods for reducing inflammation are as follows; celery, bok choy, beets, ginger, blueberries, pineapple, kale, broccoli, spinach, salmon, walnuts, coconut oil, chia seeds, flaxseed and turmeric. And now the foods that increase inflammation include; processed foods and meats, refined carbohydrates, sugar and omega 6 fats. Now if you’re anything like me, I had no idea exactly what refined carbohydrates and omega 6 fats were? Whilst beginning to research this and after googling an ancestral diet for headaches, I stumbled across a book online that caught my eye. It was called “The Migraine Miracle” by Josh Turknett and it explained how, by altering his diet by reducing these pro-inflammatory foods, he managed to heal himself completely from migraines. This wasn’t intentional, instead his aim was initially to improve another health condition and as a results of this change he realised that over time his migraines had simply vanished! So after excitedly clicking “order book” on my kindle, I settled down on the sofa ready to learn more about this new diet. I have to say I finished the book in just two days as I couldn’t put it down. It left me pondering if, after all this time had I only been making my headaches worse with the food I was eating? So the first half of the book talks about the different types of migraine, your trigger threshold and the usual suspects to avoid. All of this I have heard one hundred times before but Josh makes it an interesting read and shows you how easy it can be to “release the beast” (as he calls it!). Now comes the interesting part.. the diet! He firstly explains that millions of years ago our ancestors simply only ate what they could kill and grow out of the ground. Over time due to agriculture and modern methods of food processing we have been introduced into eating many different forms of grains. Many of these grains are in fact toxic to our bodies and we shouldn’t be eating them. They are then made into refined carbohydrates which basically means a lot of sugar can be added to them in the process. This then makes up what we know today as white bread, crackers, pasta, cereals and so on. He then also explains how our bodies nowadays are using sugar as our main energy source rather than fat as in years gone by. This then causes your blood sugar levels to rocket and drop sharply throughout the day, this will occur several times a day due to the sugar in the foods we are eating. I know what your thinking! No more delicious bowls of pasta or beautiful crusty baguettes! I had a mild panic when I read this first one, but if you start to think about it, so much of our daily diet includes foods with flour. Toast for breakfast, a sandwich for lunch and then maybe a nice pasta dish for dinner! That’s without the crisps and crackers for snacking on! He explains that it is the flour from the gluten grains that you should be avoiding, however gluten-free grains could be used in moderation if you so wish. This one was going to be hard, that’s for sure! In simple terms just ask yourself “Is it something that you could hunt and kill, or grow in the garden?” If you answered yes, then you can eat it! Anything that requires processing or being made into a food product is a no go. For example snack bars, crackers, cereal or fizzy drinks. I guess with this one it’s all about preparation and making the correct snacks rather than reaching for a cereal bar for convenience. This one is pretty simple. Eat animals and plants! This includes fish, game and even the organs (if you can stomach it, but I know I can’t!). Our ancestors used to eat the high energy plants for obvious reasons but nowadays as long as we have a balanced diet we can afford to eat from the amazing array of vegetables in our supermarkets. Delve in to the leafy greens section and go crazy! Basically your task here is to avoid all seed or grain derived oils. For example Canola or vegetable oils. This goes back to those omega 6 fats I mentioned before. These create inflammation in our system which we are trying to avoid. Instead you now get to cook with lashings of butter or delicious coconut oil. I knew this one wouldn’t be a problem for me as I already adopt this rule due to previous migraines being triggered by these seed oils. Being honest I knew all fruits contained sugar but I didn’t know which ones contained the most. Basically If the fruit ends in “berry”, then you are allowed a small quantity of them. Otherwise fruits such as apples, grapes and bananas will shoot your blood sugar up followed by a sudden drop which could potentially induce a migraine. Josh explains that the higher sugar fruits are best to be eaten within the context of a meal so that the rise isn’t so substantial. No more mid morning bananas for me! As we know, water can do you no harm so it’s our best friend to migraineurs. Unsweetened tea is allowed and coffee (with full cream only). Alcohol he advises to completely cut out for the first few weeks but once your migraines have disappeared you could introduce it again if you so wish. I know for me wine is a huge trigger so I think I will always stay clear of this one. So that’s basically the diet in a nut shell! I know what you’re thinking, what the hell can I eat? Well now you can enjoy bacon, eggs and sausage for breakfast every day without a side order of guilt. Perhaps a salad for lunch with lashings of full fat cheese, chicken and avocado? And for dinner, how about a beautiful steak with a full fat creamy peppercorn sauce with vegetables? Once you start to look in to the possibilities, it’s actually very exciting. Knowing I would be allowed to snack on cheese, nuts and meat to my heart’s content sounded pretty good to me! Josh explains that all low-fat options will have sugars hidden in them, even milk. So instead you have to stick to the full fat rule. Fine by me! Thanks for your comment. I suffer really badly with chronic migraine and I am desperate to get them under control. This was really interesting to read. I already eat a healthy diet mostly vegan and no processed foods but I am sure there is something that could be triggering my migraines. 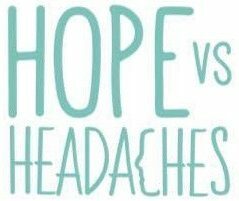 Hi HopeVsHeadaches! Have you ever heard of Anthony William? He is AMAZING and has helped me to stop my once chronic migraines. I also used to get horrendous sinus headaches that Anthony helped me to cure. I highly recommend checking him out! Oh my god I cannot thank you enough for telling me about him. I’ve spent all last night researching him and his work! I am in awe! I downloaded his book late last night in kindle and I can’t stop reading it. Tears have been falling down my face as finally I feel like there IS an answer! I cannot thank you enough! So did you have a consultation with him then? I saw he does them by phone? Thank you so much! Aww, you are so sweet!! That was EXACTLY my reaction and my mom’s reaction when we found out about him and started reading his book! Last year (I’m a high schooler), I gave all of my teachers a copy of his book for an end of the year present because I believe so strongly in him!! My whole mission in my life and with my blog is to get the word out there that everyone can heal from their illnesses, so THANK YOU for validating that I’m doing something right :). No, I didn’t have a consultation with him because he has so many people that want consultations that he has a lottery system that decides who gets one. My mom’s name and my name are in there so hopefully someday we’ll get a consultation! It’s expensive, but I believe that it’s worth it to heal! He has his own seminar where he’s speaking all day in Los Angeles, California in mid-November of 2016, which I’m attending. You may not be able to find tickets, but there’s no harm in looking. I’m missing a day of school to see him, that’s how much I believe in what he’s doing! At his seminars, he gives a “Light Blast” to everyone there, which gives everyone 6 months of accelerated healing!! If you ever need support or want someone to talk to that’s on this healing journey with you, feel free to email me at produceandpositivitygirl@gmail.com. Many blessings to you!!!! Thanks for your reply. Well you are doing an amazing job and I know this will help me so you’ve already helped one person and I’m sure many others. I love that your are spreading the love and trying to reach as many people as possible. I’m so pleased it worked for you just through reading the book. Did you just do everything he suggested in there? I’m a quarter of the way through and I can’t read if quick enough! Wow the seminar sounds fantastic!! I would so love to but I live in Dubai. Funnily enough I just came to LA which was 2 blogs back but I was so ill with migraines I didn’t get to enjoy it. I didn’t know it was a lottery either! I’m defo goin to put my name in it. Your right I think it’s so worth the money!!! I will email you. Thank you so much for your message. I aim to do the same with my blog and help others as I have got better from where I was during my darkest days and just want to inspire and help others that they can do the same. It’s great to meet someone like minded! Keep up the good work! What’s your name sorry? Lol Mine is Christie. It’s so great to meet you. Previous Entry Dubai to Las Vegas! What The Hell Was I Thinking?